If you've been on the fence about Lara's latest PS4 adventure, you now have a golden opportunity to give it a shot. Square Enix has today opened up a free trial for Shadow of the Tomb Raider, which will allow you to sample the game before you make a purchase. The trial will give you access to the opening stages of the game, says the publisher. Any progress you make during the demo will carry over to the full game, should you decide to buy it. The PlayStation Store now lists a free demo on the game's page. It's well worth taking advantage of this if you're unsure. Will you be giving Shadow of the Tomb Raider's free trial a go? Fire some arrows into the comments below. By "Trial" do you mean you only get to play the demo once, or is it mine to keep? would be nice if more future games would do this. maybe it can be something that next gen games will offer more. Put the 2nd on ps plus and I would definitely get the 3rd. I still have the 1st on on ps3 from ps plus, never beat it...but I would if i had a clear path to the end of the series. @tomassi tbh this can only be good for sales. it could convince people that are on the fence to buy it. it could also convince people to buy a game at full price instead of waiting for a sale,if the demo can realy impress players. aslong as they make the demo accurate to how the final product plays then i don't see how this could be negative for devs. and for the people that decide not to buy the game itself,well atleast they have played it a bit for themselves,and gave the demo a chance. 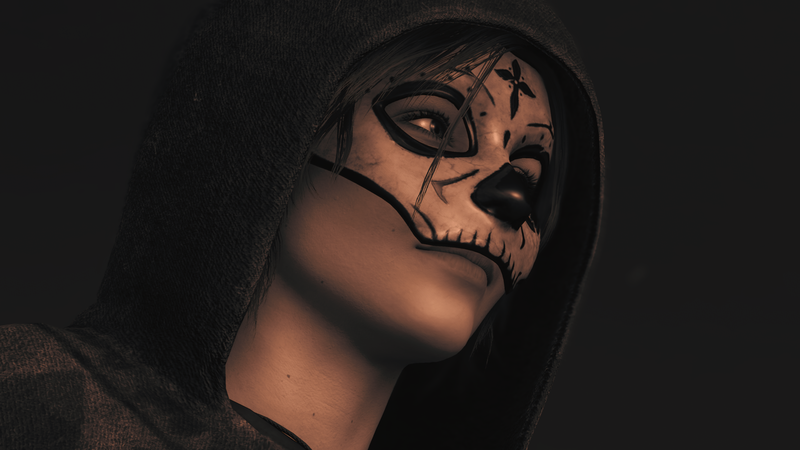 If it's the beginning of the game proper, then this will be the Cozumel prologue, where Lara and Jonah track somebody through the streets of a Mexican town during the Day of the Dead. Definitely worth a look-see for anybody who loves a good action-adventure game. Love that they're doing this. The game didn’t sell well, the scores are not that good too, that’s why they are doing this free trial. @PS_Nation my thoughts aswell,but still would be very cool if more games did this. regardless if they are any good or not. I'm going to get this at some stage when the price is right, so I don't feel the need to play this demo. Generally, I'm not fussed about demos. I generally know what I want and I'd rather play the whole game all at once than play a demo and then have to wait a while to get the game at the price I want and carry on. I really need to get into this series. I've had Tomb Raider 2013 on Steam for what feels like eons. @RogerRoger yeah,they must have based this on that movie. nice easter egg if true. Already have the game and just beaten it recently. I really liked the game, despite everyone crapping all over it. I would definitely recommend trying it out at least. Cool. Hopefully the photo mode is functional in it so I can get some decent pics for the unofficial Push Square photo competition. Got all three on Xbox One but this would've been handy. Rise of the Tomb Raider did this, IIRC. But, a 3 hour download for a 20 min trial hardly seems worth it. It's great they are doing a trial for this but as I will be buying this at some point anyway,trying it seems pointless. Recently finished Lost Legacy, but still in the mood for this kind of thing, good timing. man. this game must have sold even worse than we thought. 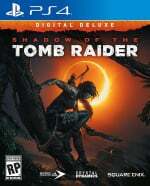 s-e getting desperate with this one... 50% off sales clearly wasn't enough to recoup loses... tomb raider is dead. I liked it a lot as well. Probably my favorite of the reboot games, tbh. Hopefully this will get the game some good word of mouth and more sales. Still have the steel book edition of the 2nd game that I haven't started yet so as much as I like demo's I'll probably skip this one at least until I play the 2nd. If I ever do, probably won't. Enjoyed the first one, but I still haven’t even played the second game. Awesome. Loved the first 2 on PS3/4. @hulkie I reckon it’s yours to keep. Don’t know for sure, but I also don’t know how or why they would block you from playing it more than once. not sure how it could be quantified, but i'd be curious to know if the year's exclusivity on xbox had any significant detrimental effect on the TR franchise. i get the feeling sales on PS4 for the last two games were quite a bit lower than they could have been. I've played through about half of the game so far and it's really good. The beginning is way more story focused than the previous two games, which sounds good but it took a bit away from the gameplay with little combat, slow traveling, and a ton of dialog. However, it doesn't last too long and before you know, it feels just like the previous entries just with sharper visuals and better lighting. Definitely worth trying the demo and picking up for $30 or cheaper. Awesome, you get to play the best part of game, potentially buy it and then realise just how dull and disappointing the rest of it is. @jdv95 too true, I remember how official playstation magazine always used to provide free demos of the next games to come out, and it gave me great joy, as a kid, to play those same levels over and over in anticipation of saving enough pocket money to get the full game. I feel the ps network would be hugely improved if demos were included more often as a service, and then I wouldn't feel so reserved as to wait a year or for sales before picking up a game. There have been few releases this year I've been willing to fork out full price on, but having played a demo beforehand, I'd probably be more willing! @PS_Nation Agreed, not surprised they're doing this. Regardless, my plan is to still wait for the physical Complete/GOTY Edition to release (and go on sale for $15-$25 New). I'll be honest, I played and finished TR reboot on PS4 and liked it so got Rise of TR and, well, it's good but fatigue set in and I can't really be bothered to finish it. They're all a bit samey personally. No plans on getting this one at all. In fact, I can't even be bothered to download the trial. @leucocyte It was certainly the reason I never bought it and still won't. I can understand deals that last a month or so, I don't like them but I understand them, but a whole year is ridiculous. So it didn't matter how much extra they bundled in for the PS4's release they'd already lost me for that game and any future releases. With so many good games out I can afford to be choosy and a demo certainly isn't going to tempt me back.